Dimensions: H25.4 x W15 cm approx. 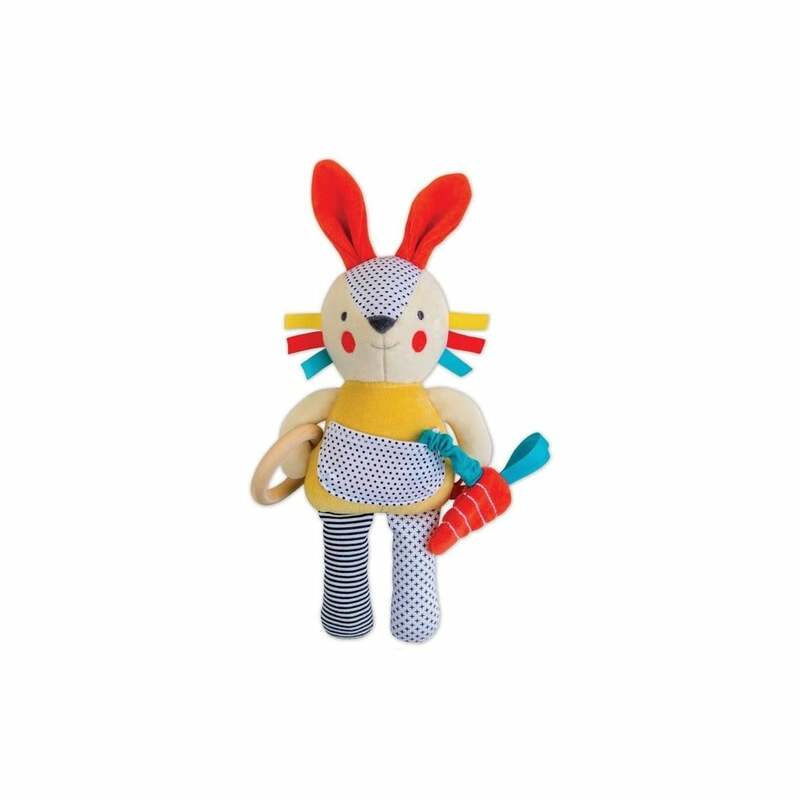 Great for cuddles and play, this Petit Collage Busy Bunny Soft Baby Activity Toy is made from high quality organic cotton. The delightful soft toy features a wood ring teether, crinkly apple with vibrating pull, crinkly ears and colourful ribbon tabs. Suitable for children 0 months +, it will help your child's development while also providing entertainment.